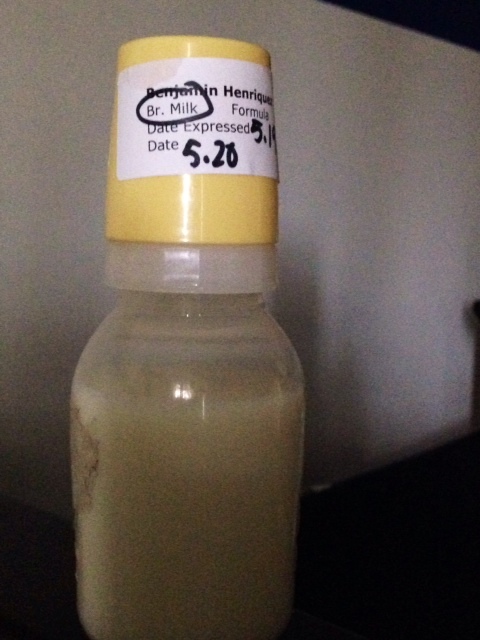 The last 5+ ounces of pumped milk for my boy, which he drank last night before bed (ignore the dates on the bottle–this mama had the date wrong). We nursed this morning and it was bittersweet, for sure. As usual, we locked eyes and he tugged at my hair … but then he pulled away, shrieking DADA with complete gusto, wiggling his feet and clamoring to sit up and see the world. I was telling a friend how I’m sad that I won’t be the only thing he needs. But I’m his mama; I’ll always be his mama. And he’ll always need me. The nature of the need might change, but the relationship between a boy and his mommy is a special one. And I just need to remember that. It’s been quite the journey, Benny. But as one door closes … another opens.